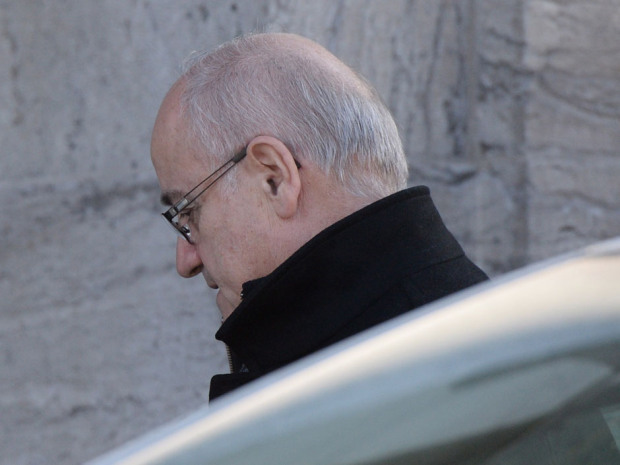 Julian Fantino arrives at Rideau Hall in Ottawa on Monday. New year is a time of renewal and Stephen Harper embraced the spirit of the season by renewing his front bench in a Cabinet mini-shuffle Monday. Julian Fantino, the embattled Veterans Affairs minister, was demoted back to his former billet as associate minister of Defence. The move came after weeks of negative publicity that followed a critical report from the Auditor General, which said veterans with PTSD face an excessively long wait for help. 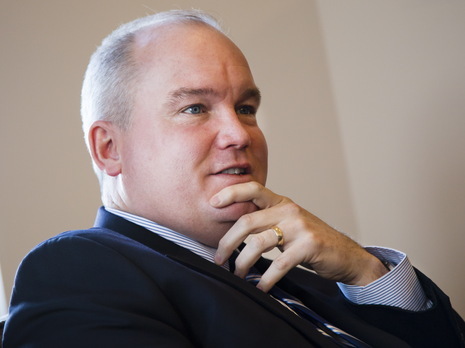 Erin O’Toole, a former air force captain who has been rolled out as spokesman on the veterans’ file, has been promoted to Cabinet after just two years as an MP. Mr. O’Toole was elected as MP for Durham after Bev Oda retired from politics. She was one of just three Conservatives to have been booted from Cabinet by Mr. Harper (the others were Helena Guergis and Maxime Bernier). The fact that Mr. Fantino will still sit around the Cabinet table is testimony to the Prime Minister’s aversion to being told what to do by anyone — far less the opposition and the media. In normal circumstances, Mr. Harper would likely have left Mr. Fantino in situ and let the opposition bay for his blood. But 2015 is an election year and Mr. Fantino’s long-staying proved to be his shortcoming. The minister was so well-versed in the art of denial, refusing to admit any personal or systemic failures, that his performance defied political satire. In doing so, he lost the support of what should be a natural constituency for the Conservatives. Mr. O’Toole has already proven himself a more sympathetic figure when called to appear on political panels. But he still faces the same systemic problems that stymied his predecessor. The Veterans’ Affairs committee recommended increasing earnings-loss benefits and paying reservists the same level of injury benefit as regular soldiers. The government has not responded on either point. There remains dissatisfaction over the New Veterans Charter that pays injured soldiers lump sums, instead of pensions. And the new minister will have to deal with the Auditor General’s criticisms of an unresponsive bureaucracy that takes too long to respond to the needs of soldiers with mental health issues. Perhaps the only good news for the 41-year-old minister, aside from the chauffeur-driven limo, is that his deputy minister will be former chief of defence staff, Walter Natynczyk, who will likely prove invaluable in acting as a bridge between the departments of National Defence and Veterans Affairs. Lack of communication between the two was a major contributor to the delays identified by the Auditor-General. So does Mr. Harper now have the front bench team that will take him into the next election? Perhaps not. Cabinet members like Gail Shea, the Fisheries Minister, may yet decide not to seek re-election. There are rumblings that Pierre Poilievre, the Democratic Reform minister, has been charged with drawing up a list of candidates to be parachuted into the Senate, should the Prime Minister decide that he needs to fill the 16 current vacancies. There are currently 53 Conservatives in the Upper House, against 30 Liberals and six independents. A Justin Trudeau victory in the next election would all but hand the Senate to the Liberals, so it seems inevitable that Mr. Harper will fill those seats and first in line for patronage appointments are likely to be former MPs who don’t fancy their chances in the upcoming tilt. Congratulations to Stephen Harper on at last, smelling the coffee with respect to one of Ontario's greatest insults to justice Julian Fantino. Stephen Harper however fails to understand the Conservative Values of the Rule of Law that require fundamental justice and a war on corr..upt justice officials who bring the the administration of justice into ill - repute. Stephen Harper can start with disbanding the Judicial Council, a corrupt paper weight that only white washes complaints against judges. Take the dishonourable Monique Metivier who takes orders for orders , exparte orders for the custody of children in child protection matters to sweep under the table the most serious of criminal offences by lawyers like Marguerite Lewis, an evidence fabricating lawyer for the Children's Aid Society of Ottawa. Stephen Harper had better take very careful note that the Co..rru.pt CAS lobby group are at present asking that she be "anointed" as a judge of the Ontario Superior Court. This woman, Marguerite Lewis, is a professional fabricator of evidence, a professional child abu.ser who was investigated by the Ottawa Police and a Sgt. John Gibbons concluded "It's perjury, she lied to the judge". With co..rr.upt judges and lawyers like Monique Metivier and Marguerite Lewis, our society and Rule of law become a sick joke. Heads are going to continue to roll as Harper looks for diversions to turn negatives into positives, something that he is very slow at but also deadly efficient at when he finally makes up his mind. Stephen Harper needs to invest in discovering what it is that pisses off Canadians the most, and when it comes to that particular subject he will discover that it is Canada's Judiciary that are regarded by most Canadians as fundamentally corrupt. For Conservatives, they generally operate with pea sized brains, that are unable to grasp the economic and social costs to having a C.orr.u-pt Judiciary that is hell bent on destroying Canada socially and economically. It starts with the Judicial selection process, devoid of personality screening that "anoints" former CAS lawyers as Judges who then Rubber Stamp their Fas.cist "Gender Superiority Agenda" that results in Mother's, even the most violent, getting custody 99% of the time. Justice Timothy Minnema was a classic choice. A former CAS lawyer he now continues to Fabricate Evidence as a judge and make draconian decisions to remove children from male full time parents who happen to be victims of domestic violence. Justice Timothy Minnema is blatantly corrupt, he ignores blatantly fabricated evidence from CAS lawyers or any lawyer who tells him anything that supports a politically correct but legally corrupt decision. Mr. Harper should pick up the phone and invite the Dis-Honourable underbelly of the Judiciary, Timothy Minnema to resign.